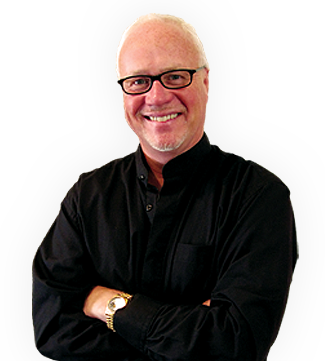 Bob Garner is recognized by Fortune 1000 and Global 100 audiences as one of the few funny keynote motivational speakers who actually have something valuable to say! And what Bob says is focused on helping people do all the things they are capable of doing, create positive change and live a more purposeful life. Drawing on decades of research on human potential and compassion, as well as his own fascinating background and life journey as a disc-jockey, comic magician, entrepreneur, spokesperson, real estate investor and philanthropist, Bob creatively wraps mystifying entertainment and relevant stories around his teachings on how to increase connectivity, communication and collaboration, as well as how to ignite the thought process, unleash skill sets, and embrace change and the importance of giving back. He has spoken in over 18 countries and shared the stage with former presidents of the United States, as well as Fortune 100 and Global 100 executives, celebrities, and sports personalities. As a business person, Bob owns two companies and - as a spokesperson and consultant - has assisted clients in selling literally tens of millions of dollars in products and services and helped entrepreneurs to start, grow, and maintain their business. In addition to live presentations, Bob has shared his strategies - mixed with a good dose of humor - on entrepreneurship, leadership, sales, personal development and public speaking via books, audio programs, as well as in articles for magazine, newspapers and other media, worldwide. Bob is also the creator and host of "A Mindful Moment," a radio show currently heard on American General Media Broadcasting. Bob is a passionate believer in giving back and both he and his wife, Marleta, support numerous causes that aid people, all animals and the environment. They live on the Central Coast of California.